CROP yield predictions are a key driver of regional economy and financial markets, impacting nearly the entire agricultural supply chain. That’s why economists, agricultural researchers, government agencies, and private companies are working to improve the accuracy of these predictions. The United States Department of Agriculture’s monthly World Agricultural Supply and Demand Estimates (WASDE) report forecasts end-of-season yield based on real-time farmer surveys and analysis from the USDA National Agricultural Statistics Service (NASS), and it’s considered by many to be the gold standard for yield predictions. But researchers at the University of Illinois have developed a new method that outperforms the USDA’s WASDE estimations, in a scientifically rigorous and reproducible way. “Using seasonal forecasts and satellite data, we developed a very advanced yield prediction system for both the national and county levels. Our research demonstrates that we can do better than the USDA’s real-time estimation,” said Kaiyu Guan, principal investigator on the Geophysical Research Letters study, and assistant professor in the Department of Natural Resources and Environmental Sciences (NRES) at U of I and Blue Waters professor at the National Center for Supercomputing Applications (NCSA). “Compared with using historical climate information for the unknown future, which is what most previous research is based on, using seasonal climate prediction from the NOAA’s National Centers for Environmental Prediction gave better forecasting performance, especially in reducing the uncertainties,” said Bin Peng, the lead author of this study and postdoctoral research associate in NRES and NCSA. The new approach allows more accurate end-of-season predictions to be made earlier in the season. 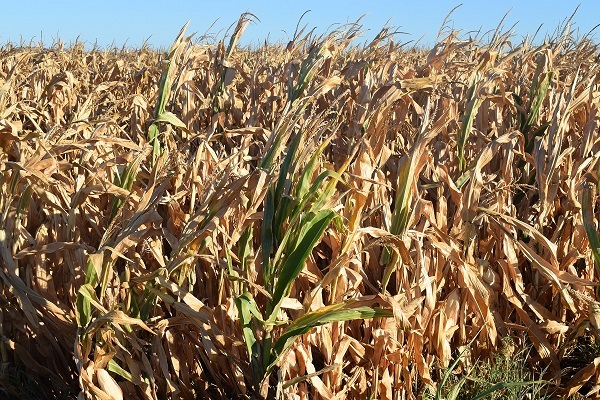 At the end of the growing season, when the corn harvest is complete, it is possible to look back and evaluate the accuracy of each previous month’s prediction. Between 2010 and 2016, for example, the WASDE report for June was off, on average, by 17.66 bushels per acre. For the same time frame, Guan and Peng’s system was only off by 12.75 bushels per acre. In August, WASDE was off by an average of 5.63 bushels per acre, whereas Guan and Peng’s system got the number down to 4.37. “Improving our ability to predict crop yield is really important for many applications. Farmers want to know this information because it’s directly related to the price they can expect. Economic forecasting and commodity market prices for corn and soybean hinge on this information. “Also logistics: Grain companies need to find out which places are producing grain and how much. Do they have the capacity to collect and process it? Crop insurance depends on this information, too. It’s a problem that has lots of practical meaning,” Guan said. “The new system is implemented on Blue Waters, one of the most advanced supercomputers in the US,” Peng said.